The wait is finally here! 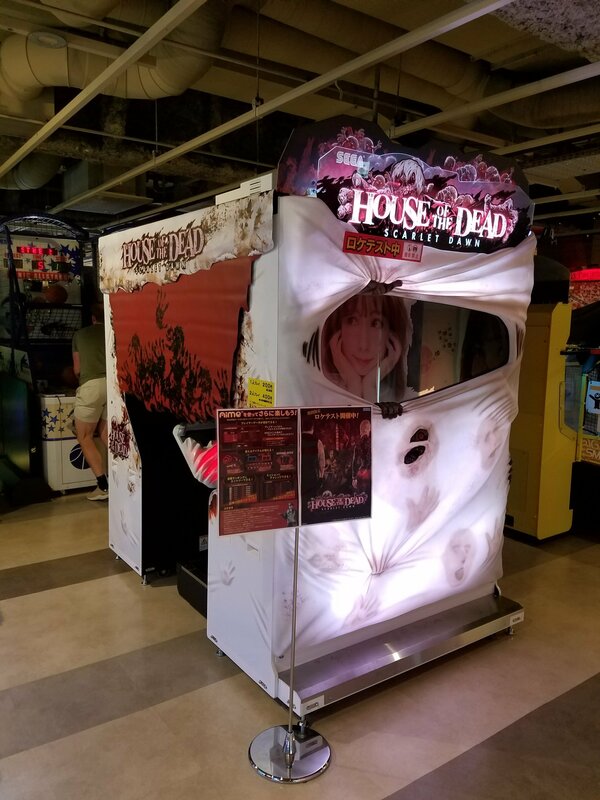 House of the Dead Scarlet Dawn is now available to play at Japanese arcade centers and soon to Dave and Busters here in the states. SEGA has updated their official House of the Dead website as well with tons of details on the latest release in the series on story, system mechanics, character bios, creatures and more. The website also has a point and click minigame where the player can earn highscores by shooting creatures across the hall. By completing the minigame, you can tweet your score on Twitter and be eligible to win a poster (Only ships in Japan). For the rest of the week, The Website of the Dead will continue updating with more details on Scarlet Dawn including character artwork in the character gallery section and trivia. Here’s a offscreen full playthrough by player SpeedBeatz. 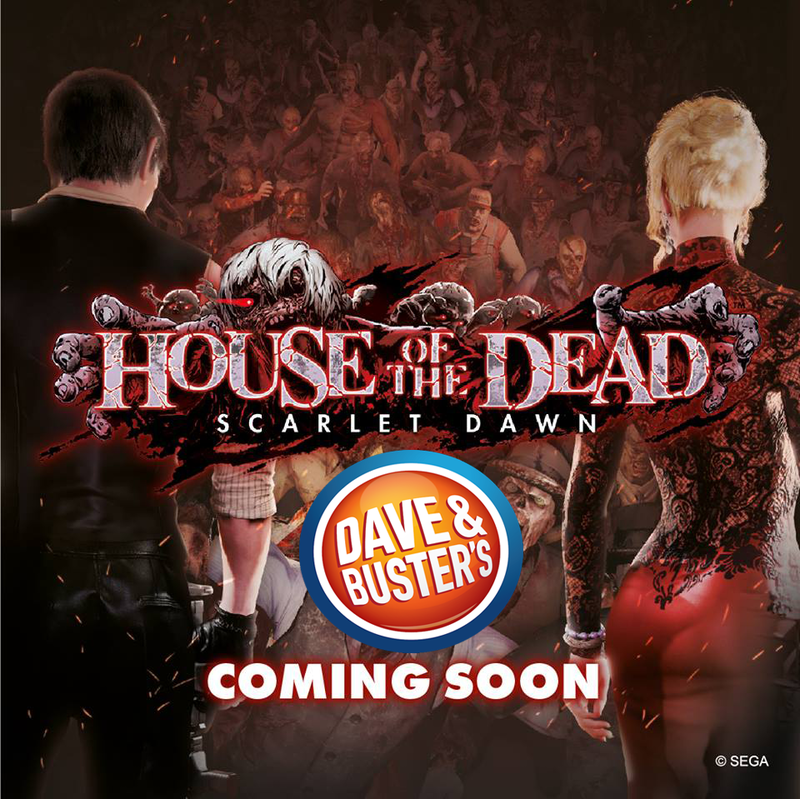 The excitement of the latest installment of SEGA’s best selling arcade shooter cannot be contained as House of the Dead Scarlet Dawn is set to be released in all Dave & Busters locations sometime this October just in time for Halloween according to Dave & Buster’s Senior VP, Kevin Bachus on Reddit. He also states that it is the best by far in the franchise. Meanwhile over in Japan, SEGA has released another location test version House of the Dead Scarlet Dawn at the High-Tech Land SEGA Shibuya with more changes made. You can check out location test details over here. Excited to play House of the Dead Scarlet Dawn at your local Dave and Busters? Please let us know your thoughts on the comments below. UPDATE: Our friends at Arcade Heroes confirmed with Sega that the target shipping date for a “limited number” of HOTDSD units is September, with a broader release taking place closer to November/December in time for IAAPA 2018. Word has it that several “big box FECs” saw news of the game earlier this year and placed orders, taking up the first planned production run. Either way, it sounds like it won’t be too difficult to come across this one later this year. SEGA Amusements made an announcement on their Facebook social media a couple of hours ago that House of the Dead Scarlet Dawn is coming to western arcades soon. It’s good to see the series making a comeback and this also sleds light to console versions as well. Expect to see Scarlet Dawn arcade cabinets around your local GameWorks and Dave & Busters hopefully sometime this year! House of the Dead’s very own Big Boy, Chariot, and many other SEGA characters join in a Sega Legends War collaboration with Code of Joker Ver.2.3.ex2 with additional 40 new cards. For those who don’t know, Card of Joker is a Japanese SEGA arcade card game with the trading cards only appear digitally, and the game is played solely with the touch screen. It’s astandard one on one card battler, with no genre or spin mixed within. 7 characters can be chosen with all their specific joker cards with all their special abilities. Then you have the Unit Card, which are the monsters which are divided into warrior, monster, genius, devil, angel, machine, hero and more. Combination monsters can also be summoned to help the units, just like the character you choose. Non-monster cards are the Trigger cards, which activate when you attack and then there are Inticaptor cards that activate on enemy players. As we wait for further news on the upcoming House of the Dead game. Here is the trailer of the Code of Joker collaboration. 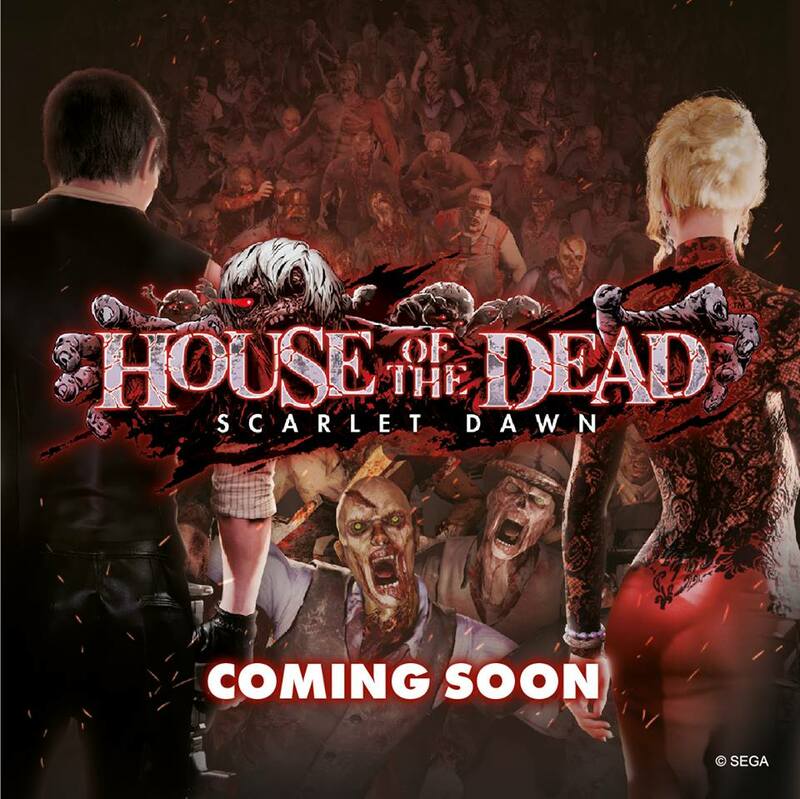 House of the Dead Scarlet Dawn is an upcoming light gun shooter with state of the art horror running on the Unreal 4 Engine 4 with a theater style arcade cabinet with motion sensors, nationwide ranking, trophy function, and Master Mode with the use of Aime cards.